The Hopi Reservation sits on 1.6 million acres of high Arizona desert and is home to 12 small, autonomous villages that pepper three sandstone mesas in northeastern Arizona. As a tribe, the Hopi have historically been protective of their culture and privacy. The Hopi Arts Trail gives visitors a chance to experience the otherwise elusive Hopi way of life through the tribe’s vibrant artistic traditions. 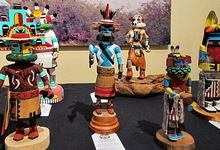 The Hopi Arts Trail is a cooperative effort of Hopi-owned galleries, Hopi artists, and Hopi guides in the villages across the Hopi reservation. 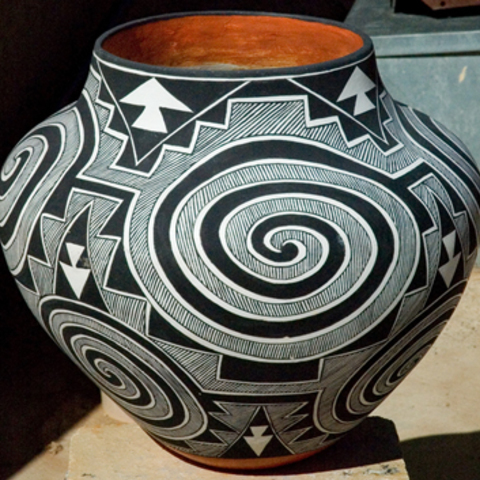 The Hopi Arts Trail is an invitation to the world to visit the mesas in a respectful manner and to connect with some of the best in Hopi silverwork, basketry, pottery, and Katsina doll carving in Hopi owned and operated galleries or in artist member’s home workshops. There is no better way to embark on this experience than at the Moenkopi Legacy Inn, where friendly staff can help arrange for a local tour guide, certified by Hopi Tribe. The guides are exceptionally knowledgeable about Hopi culture and help visitors understand the significance of the artwork encountered along the trail. 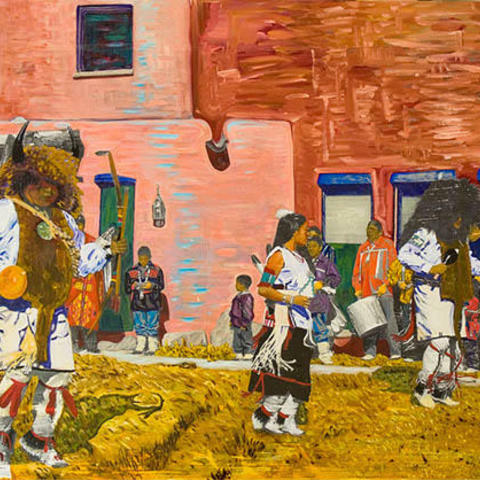 On the tour, you will find basket weaving, Kachina Doll carving, pottery, and silversmithing, the four most prominent art forms, but also contemporary expression through painting, sculpture and glass making. Visitors are also welcome to drive across the Hopi reservation using the website and Arts Trail Map as a guide to visit the galleries and contact artists. Along with art & culture, visitors can take in the breathtaking scenery, including the otherworldly beauty of Coalmine and Blue Canyon. Certified Hopi Guide and award winning sculptor, Evelyn Fredericks, says, "First time visitors are sometimes intimidated because our land and villages are so different from mainstream communities. 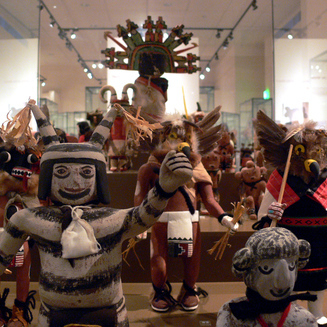 The Hopi Arts Trail will show the world how welcoming Hopi are. We hope visitors come to spend more than a day, take a tour, and become collectors of the art they discover." The Moenkopi Legacy Inn & Suites, the first hotel to be built on Hopi tribal land in over 50 years, has been recognized by travelers and Fodor’s Travel as one of the finest lodging establishments in Arizona. It was the inspiration of the Elders of the Upper Village of Moenkopi. 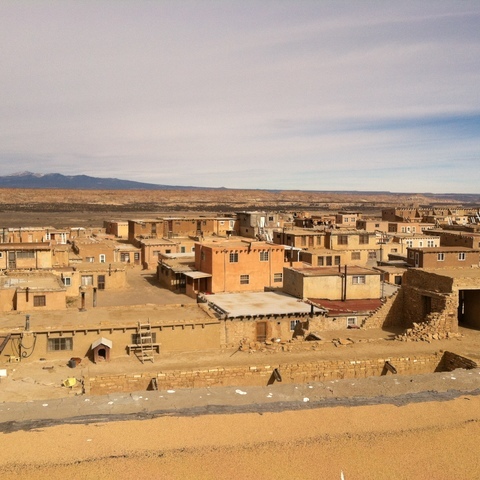 It was their vision that their Village should be a place of welcome and gathering for visitors to the land of the Hopi. Each October brings the annual Tuuvi Gathering which provides an excellent way to visit and meet with a variety of Hopi artists, eat local foods, and see traditional social dances, all in one place. The Hopi villages are living villages – the original homes are still intact and have been continuously occupied for centuries.